Unicorn No More | Spotify really might be your musical messiah. 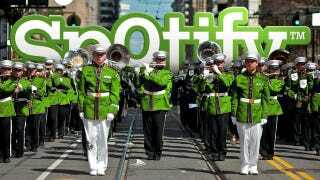 Is Spotify Really Your Streaming Music Savior? What's Rarer for Snakes? Being an Albino or Having Two Heads? What&apos;s Rarer for Snakes? Being an Albino or Having Two Heads?